Brothers and sisters good evening. You all know that the duty of the Conclave was to give a bishop to Rome. It seems that my brother Cardinals have gone almost to the ends of the earth to get him… but here we are. I thank you for the welcome that has come from the diocesan community of Rome. Thank you. First of all I would like to say a prayer pray for our Bishop Emeritus Benedict XVI. Let us all pray together for him, that the Lord will bless him and that our Lady will protect him. And now let us begin this journey, the Bishop and the people, this journey of the Church of Rome which presides in charity over all the Churches, a journey of brotherhood in love, of mutual trust. Let us always pray for one another. Let us pray for the whole world that there might be a great sense of brotherhood. My hope is that this journey of the Church that we begin today, together with the help of my Cardinal Vicar, may be fruitful for the evangelization of this beautiful city. And now I would like to give the blessing. But first I want to ask you a favour. Before the Bishop blesses the people I ask that you would pray to the Lord to bless me – the prayer of the people for their Bishop. Let us say this prayer – your prayer for me – in silence. I will now give my blessing to you and to the whole world, to all men and women of good will. Brothers and sisters, I am leaving you. Thank you for your welcome. Pray for me and I will be with you again soon… We will see one another soon. Tomorrow I want to go to pray to the Madonna, that she may protect Rome. Eminentissimum ac reverendissimum Dominum, Dominum Giorgium Sanctæ Romanæ Ecclesiæ Cardinalem Bergoglium, Qui sibi nomen imposuit Franciscum! With the whole world, I offer the Lord praise and thanksgiving for the gift of our new Roman Pontiff, to guide us through the rough seas of our times. 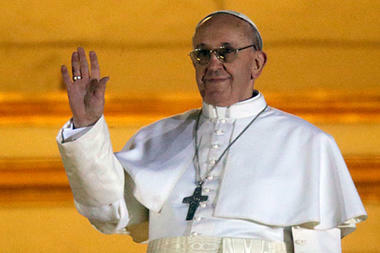 Thank you, Holy Father Francis for accepting this cross, for the love of God, and for the salvation of the whole world. May our dear Lord be your strength as you pick up the Cross and follow after Him, with Saint Peter to help you. Whether he weeps or rejoices, whether he hopes or offers himself as a victim of charity for his people, we desire to be united with him; nay more, we desire that the cry of our hearts should be made one with his. Of Thy great mercy grant, O Lord, that not one of us may befar from his mind and his heart in the hour that he prays and offers unto Thee the Sacrifice of Thy blessed Son. At the moment when our venerable High Priest, holding in His hands the very Body of Jesus Christ, shall say to the people over the Chalice of benediction yhese words: “The peace of the Lord be with you always,” grant, O Lord, that Thy sweet peace may come down upon our hearts and upon all the nations with new and manifest power. Amen. The Cardinals in Rome propose that today’s afternoon’s session be dedicated to prayer in Saint Peter’s Basilica in Rome, and they invite the whole Universal Church to join them – wherever we may be – at 5:00pm Rome Time. The structure of the Cardinals’ prayer will include the recitation of the Glorious Mysteries of the Holy Rosary, Solemn Vespers and the exposition of the Blessed Sacrament with a time of Adoration. 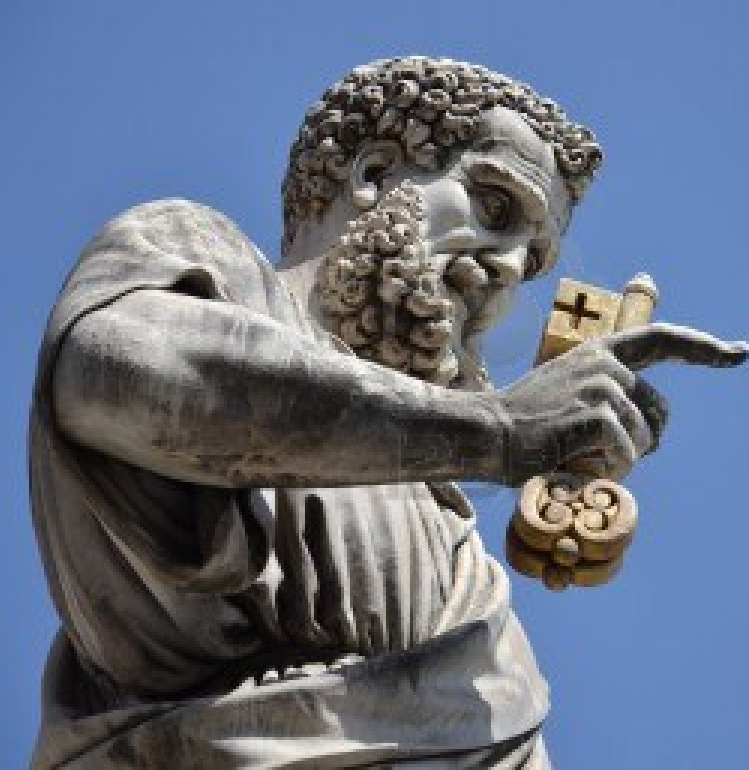 Vatican Radio will be video broadcasting live from Saint Peter’s. EWTN will also be broadcasting live. Many of us in the States will be working at that hour, but that doesn’t mean we cannot unite our efforts for the sake of the Cardinals’ intentions for the Universal Church. What an opportunity to stand together and pray for the coming Conclave! Commit to pray at that hour in some way. What way will you choose? 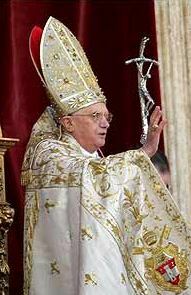 The Pontificate of Pope Benedict XVI has come to an end. And as this post hits the internet, the Worldwide Rosary for his transition to being “…a pilgrim who is beginning the last part of his pilgrimage on earth”, will commence. Biato pelligrinaggio Benedetto! Siamo con te! 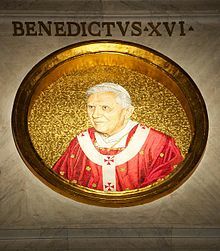 Blessed pilgrimage Benedict! We are with you! Miserere, by Italian composer Gregorio Allegri (1582-1652), is a setting of Psalm 51: It is the best known of the seven Penitential Psalms; the others are Psalms 6, 32, 38, 102, 130, and 143. 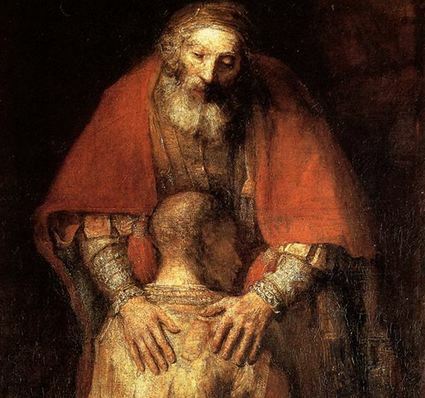 These prayers are essential to our prayer life, leading us to reflect on God’s mercy, and our need to turn back to Him and be welcomed like the Prodigal Child when he recognizes his need for His father. and be without reproach when you judge. that the bones you have crushed may revive. holocausts offered on your altar. This too is still an appropriate prayer for the Pope. Shameless Popery posted this prayer. In the Gospel of Matthew, chapter 9:18-26, we find two examples where Jesus performed miracles following two small acts of faith. In both cases, Jesus assisted them, raising to life the official’s daughter and healing the woman of her long-term illness. Does our prayer follow the same pattern? There are no conditionals in their prayer. They demonstrate a boldness; a confidence that God will act in their favor. This is faith. Today, let us practice in our prayer such bold confidence. Trusting that God knows what we need before we ask, yet how much He longs for us to come to Him with our whole heart, trusting in Him to act on our behalf. and that he shall come to judge the living and the dead. 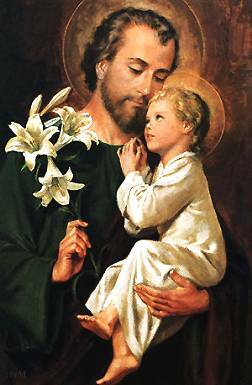 My Lord and my God: into your hands I abandon the past and the present and the future, what is small and what is great, what amounts to little and what amounts to a lot, things temporal and things eternal. Amen. All of us over at Ignitum Today have been praying fervently for fellow bloggers Andrew and Christina Pocta who have been going through a very difficult time. 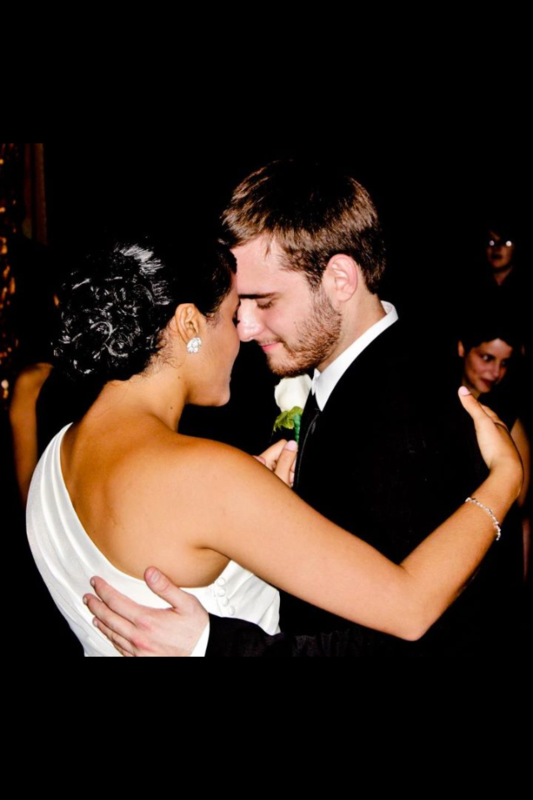 A few months after their wedding in October, they joyfully found out they were going to be new parents. Their joy has taken a curveball; their little girl Maria Isabella was diagnosed with Spina Bifida. Since then, Christina and Maria Isabella have gone through surgery to correct the problem, but now is the time when healing must take place, and to pray that Christina can carry the baby to term. The doctors say this is the most critical time (even more than the surgery itself!). Andrew and Christina are in even more need of our prayers for their little girl. 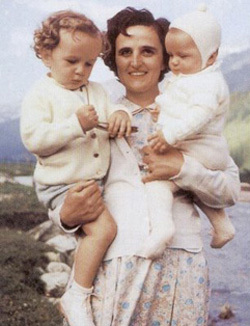 God our Father we praise You and we bless you because in Saint Gianna Beretta Molla you have given us one who witnessed to the Gospel as a young women, as a wife, as a mother, and as a doctor. We thank you because through the gift of her life we can learn to welcome and honor every human person. You, Lord Jesus, were for Gianna a splendid example. She learned to recognize you in the beauty of nature. As she was questioning her choice of vocation she went in search of you and the best way to serve you. Through her married love she became a sign of your love for the Church and for humanity. Like you, the Good Samaritan, she cared for everyone who was sick, small or weak. Following your example, out of love she gave herself entirely, generating new life. Holy Spirit, Source of every perfection, give us wisdom, intelligence, and courage so that, following the example of Saint Gianna and through her intercession, we may know how to place ourselves at the service of each person we meet in our personal, family and professional lives, and thus grow in love and holiness. For updates, you can read their blog, Cafe con Leche. God bless you! 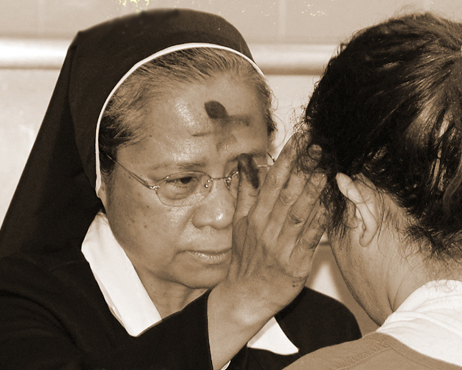 Sr Josie, Canossian Sister, distributes ashes during Ash Wednesday service. Father Zuhlsdorf breaks down this powerful prayer/collect for us here. Fasting and Abstinence – Some gentle reminders and scripture passages for the season. Join the conversation – what is your Lenten practice? In keeping with having today a Day of Prayer and Penance, what can we do? What are you doing today, to witness to the gift of life? With Christmas Eve upon us, perhaps you are one of many hoping to catch the Midnight Mass, live stream, from Saint Peter’s Basilica in Rome? Yes, you can join Pope Benedict on Christmas Eve and Christmas Day (for His Urbi et Orbi Christmas Message). I will list the schedule, as posted by the Pontifical Council for Social Communications with the streaming services below it. You can download the Program for the Midnight Mass in PDF, here (download by right-click, save link as). Saturday, Midnight Mass at St Peter’s Basilica: Broadcasting LIVE begins at 10:00pm (Rome Time) (4pm EST). The Vatican Stations player can change the language easily to include translation, or turn it off, if you prefer to watch without commentary. Note: The last three sites all require Microsoft Silverlight, which works in Chrome and Firefox just fine. Any mac users can let me know in the comments if a plugin is available (you might be helping a reader or two, too). EWTN will rebroadcast the Christmas Eve Mass on Sunday at 8am EST and 6pm EST. EWTN will rebroadcast the Urbi et Orbi Message and Blessing on Sunday at 10pm EST, and again Wednesday, December 28 at 9am EST, and Saturday, December 31 at 11pm EST. Mary prays. Twitter friend, @Prayersheart graciously allowed me to post her watercolor on my blog. 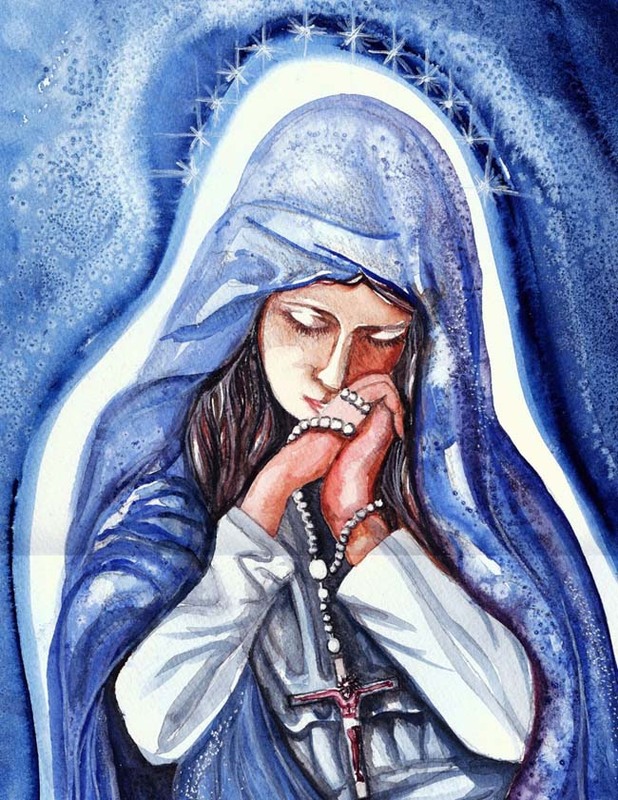 I found myself invited by the image to pray a decade of my Rosary with Mary, she who is crowned with twelve stars (Rev 12:1). As we wait for the coming Messiah, let us stop and spend a moment with Mary in prayer. She who draws us to her Son, and leads us to contemplate the redemptive mysteries of salvation that were accomplished on the Cross. Mater Salvatoris, ora pro nobis! November 29th we begin the novena for the preparation for the Feast of the Immaculate Conception of the Blessed Virgin Mary. It is one of my personal favorite novenas, in part because of the hymn, Tota Pulchra es, Maria, sung at the conclusion of each day’s novena prayer. I fell in love with the hymn when I was a postulant, and it has remained one of my favorite every since. The other reason I love this Novena, is what it tells of our own redemption. Each day of the novena reveals a part of the mystery God’s redemptive mercy. Enjoy the hymn, scrolling down to each day’s reflection, as together we unfold the importance of the Immaculate Conception in God’s salvific plan. May Mary, conceived without original sin, pray for us! (there is a video link at the bottom of the page for those wanting to hear this hymn sung). and in thee there is no stain of original sin. Thou art the honour of our people. to our Lord Jesus Christ. 1. DAY ONE: Tota pulchra es Maria! You are all-beautiful Mary! The feast of the Immaculate Conception, inserted in the liturgical time of Advent, invites us to look at Mary, the model with which the Church prepares herself to live the mystery of the Incarnation of the Word. Mary, who is born free from original sin in order to receive in herself the Word of God, is always ready to help us to free our hearts from every stain of sin and make us worthy to receive her Son, Jesus. Mary is the mirror of what each one of us would have been without sin and she is the gift of God to sinful humanity so that in Christ it may re-acquire its lost innocence. The Blessed Virgin invites us today to ask the Holy Spirit for a new heart so that we may receive Jesus in the Holy Eucharist with the same sentiments that Mary, his Mother, had, receiving Jesus, the Word made Flesh. 3. DAY THREE: Tu gloria Jerusalem. You are the glory of Jerusalem. In Mary shines forth the glory of God: the Father pours the fullness of his grace into her, the Holy Spirit overshadows her and makes her mother, the Word takes flesh in her virginal womb and from the cross gives her as Mother and glory of the Church. Mary is the Mother of our life and today she wishes to share with us her very glory by means of a clearer awareness of the Trinity dwelling in us and wanting to reveal itself to us. Mary is the channel of joy. No creature has been filled with joy as Mary. The source of every joy is the Word, her Son: “Now I proclaim to you a great joy…a Savior is born to you, Christ the Lord” (Luke 2:11). After the Angel’s announcement, Mary explodes in a hymn of joy which is the highest and most ineffable: “My spirit rejoices in God my Savior” (Luke 1:47). The mission of Mary towards the people of God is a supernatural reality which is active and fruitful. As Mother, she has the task, through the course of the centuries, to reproduce in us the spiritual features of her Son. Let us look at Mary today as the Mother of our faith, our hope, our love, and beg her to obtain for us from the Father, the giver of every gift, these virtues that are so necessary for our personal holiness. The inaccessible God made himself accessible through Mary. The New Woman is next to Christ, the new Man. Through Christ, the plan of God for the salvation of all mankind has been accomplished in her. (MC 57). Mary, now in glory next to her Son, is our advocate. Here on earth she is a powerful aid for those on their way towards heaven. Today let us pray to Mary, especially for those who have been called to our Father’s House. Mary knows the way to go to God. She is the teacher of prudence: she makes an unconditional offering of her life to the Father saying to him: “Behold, I am the servant of the Lord, let it be done to me as you have said” (Luke 1:38). Mary’s “yes” is for each one of us a safe path to follow, with her sentiments, because in obedience to the Father’s will, we become like Mary, “mothers” of Christ, the Savior of the world. Today, our unconditional “yes” will be lived in union with the “yes” of Mary. note: A post on the availability to God through our yes. And Three Reasons for Mary, and the consequences of her “yes”. The clemency of God shines forth in Mary. She continues to remind her Son: “They have no wine”. She is the intuitive woman who sees and provides everything for our eternal salvation. She is the Mother of indulgence, goodness and love. She takes the hand of those who hold out their hand to her and she walks with us, day by day, towards our ultimate goal, our Father’s House and our eternal happiness. Today, let us put our hand in Mary’s and entrust ourselves completely to her, even in the most difficult and painful moments. 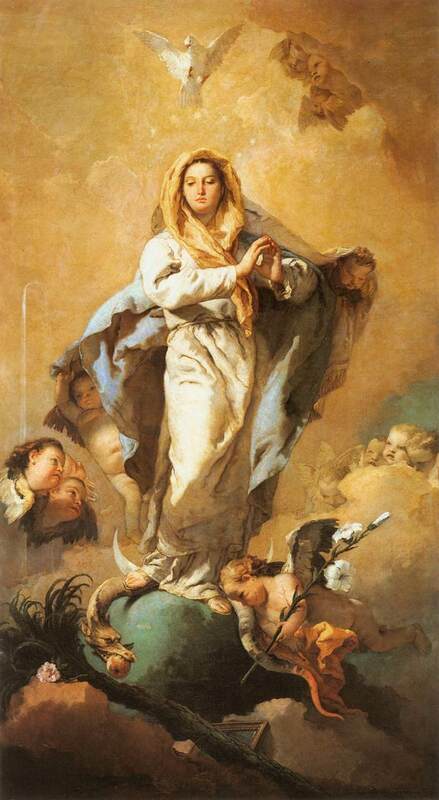 The privileges of Mary: Immaculate, Virgin, Mother of Christ, Mother of the Church, Mediatrix and Assumed into Heaven, are all derived from and converge in the person of the Word made flesh. The Father wanted her like this, so that she could become the Mother of his Only Son and, only as a consequence, the Mother of all humanity. Mary gives us Jesus. Mary is the way to Jesus. Mary is the Mother who conceives and makes Jesus grow in us to perfect stature. Today, let us repeat in us the interior attitudes of Mary. Let us live in her Mother’s heart and allow ourselves to be led by her, just as Jesus did when he lived in her womb. 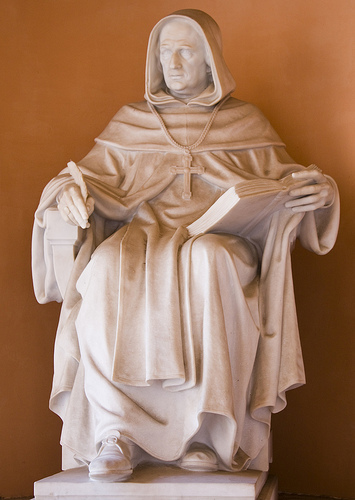 Saint Albert the Great is the patron of this blog for 2011, and, being his feast day deserves special mention. I’ve never known much of St Albert, but am a huge fan of one of his students, St Thomas Aquinas. 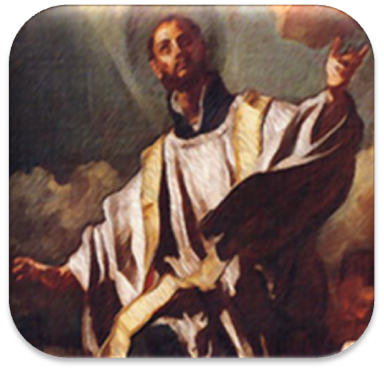 Last January I decided to choose a saint for the year to be patron of this blog, and that choice came down to St Albert. O Lord Jesus Christ, Who seekest those who stray and receivest them when returning, make me approach to Thee through the frequent hearing of They Word, lest I sin against my neighbor by the blindness of human judgement, through the austerity of false justice, through comparing his inferior status, through too much trust in my merits or through ignorance of the Divine Judgement. Guide me to search diligently each corner of my conscience lest the flesh dominate the spirit. Here, St Albert gives us an excellent prayer to begin any examination of conscience, a most wonderful way to end each day. It is a fresh reminder that we must let our conscience speak to us, and call us back to truth, ‘lest the flesh dominate the spirit’. 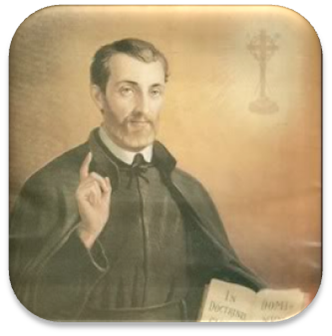 Thank you, Saint Albert, for interceding for this blog, and for all who stumble upon it. St Abertus Magnus, ora pro nobis. Ut digni efficiamur promissionibus Christi. Amen. Here’s a fine post on St Albert posted by Rachel Anne Thérèse. Enjoy!